In the timeshare industry, there is an unwavering focus on innovation to constantly improve and deepen the ownership experience. Resorts are being creative in the ways they are adopting new technology, great social moments, and different on-site offerings. In the sales process, resorts are investing in technology to bring the owner experience to life, not just at the property where a prospective owner is staying or visiting, but across many properties near and far. Resorts are also testing new ways for people to own and access timeshare (such as long-term products) instead of a deeded piece of real estate. We have come a long way in the past 45 years, and it is incredible not only to watch, but also to be a part of, these ongoing transformations that help enrich the lives of timeshare owners. With world economies in the grip of a ‘New Consumerism’ having the concept of a sharing economy at its core, there has never been a better time for all forms of shared-ownership, particularly the sharing of residential leisure real estate properties or holiday homes. 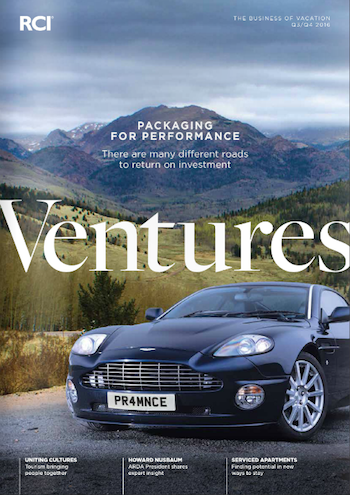 RCI Ventures looks at how, in recognition of the new consumerism and the new business investment opportunity it affords, several countries and regions, which have long been vacation destination hot spots, are now addressing the issues which have prevented the growth of the shared-vacation ownership models in their markets. Today the timeshare industry is adjusting to, meeting and even exceeding the demands of the evolving consumer. 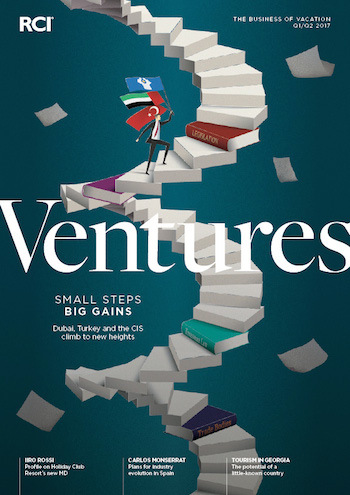 These current and potential customers are the savviest and most well-informed that they have ever been, and brands and resorts must marshal their resources to connect with them at every step, from the sales-center floor to the dreaming and planning stages and beyond. 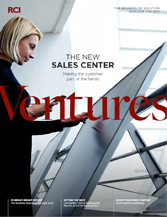 In this issue of RCI Ventures® magazine, we speak with highly experienced sales individuals about how much sales centers have changed over the past decade. We also explore Florida’s new Brightline train, tips for video marketing, and more. Today, travel is more about gathering experiences and less about going to destinations. The focus for our industry is on the amenities available on-site – and how guests can take advantage of them to have amazing, memorable vacation experiences. Keeping this goal in mind every day – and with every customer touch point – will ensure satisfaction in the guest experience from check-in to checkout. 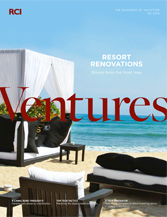 In this issue of RCI Ventures® magazine, we explore how RCI affiliated resorts work each and every day to improve the experience for owners and guests. Nobody in business should stand still and the shared-holiday ownership sector of the hospitality industry certainly isn’t letting the proverbial grass grow under its feet. 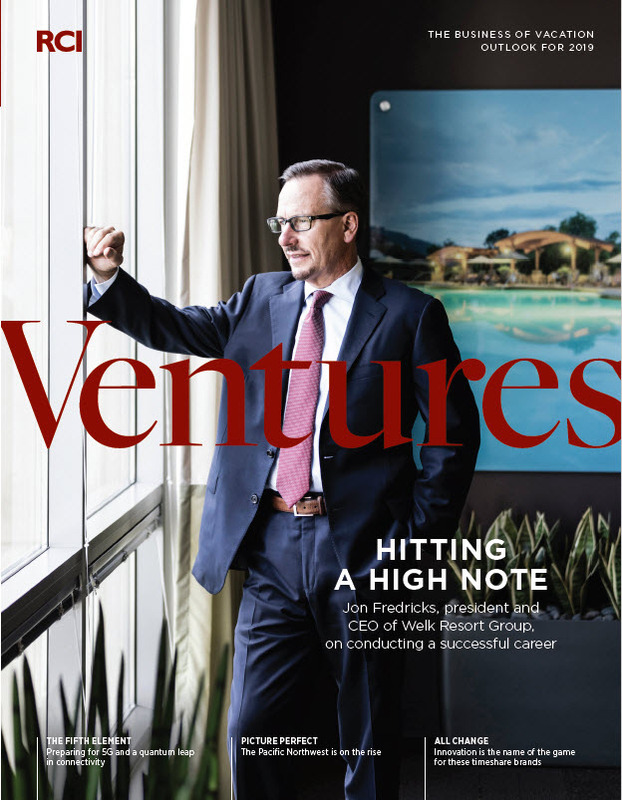 The latest issue of RCI Ventures investigates the diversity of the leisure real estate market and brings the experience and insight of several high-profile resort property developers to the table to share the innovation that drives their product evolution, ensuring a high performance in terms of ROI.